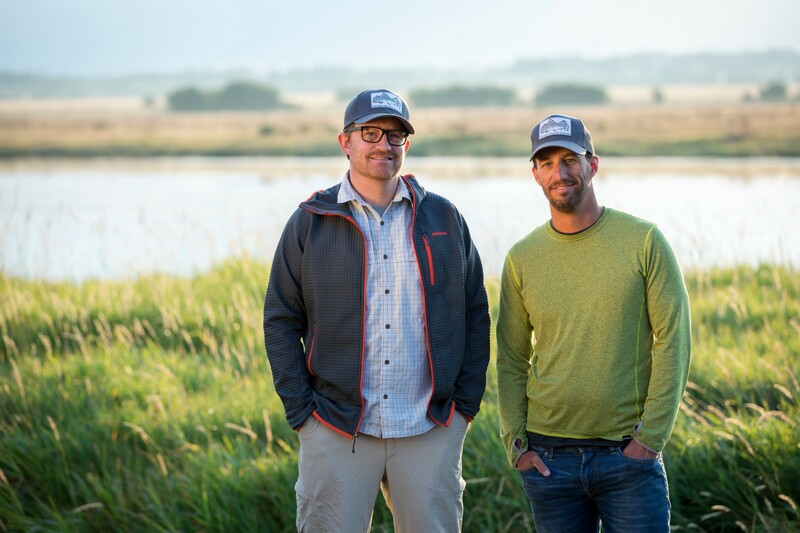 Only 3 percent of businesses have seen fourth-generation owners like Matt and Brian Berry of Teton Valley Lodge in Idaho. 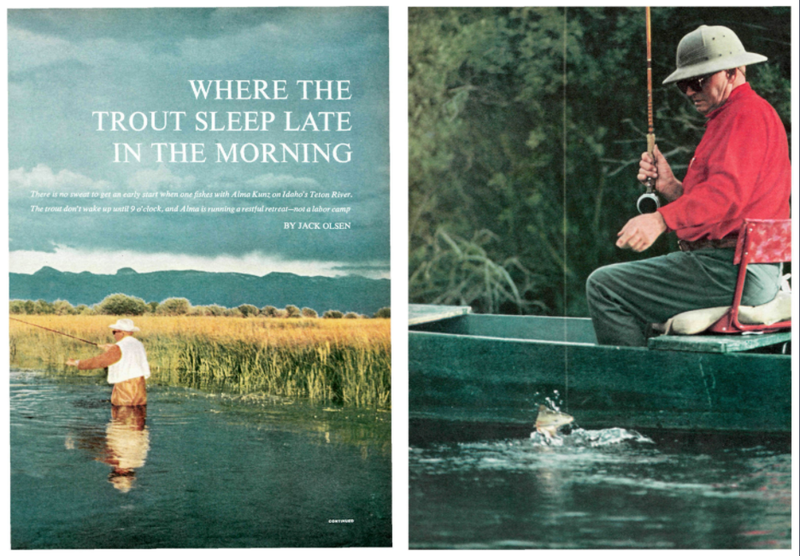 But through loss, illness, and more than 80 years of change, their fly fishing operation is as strong as ever. 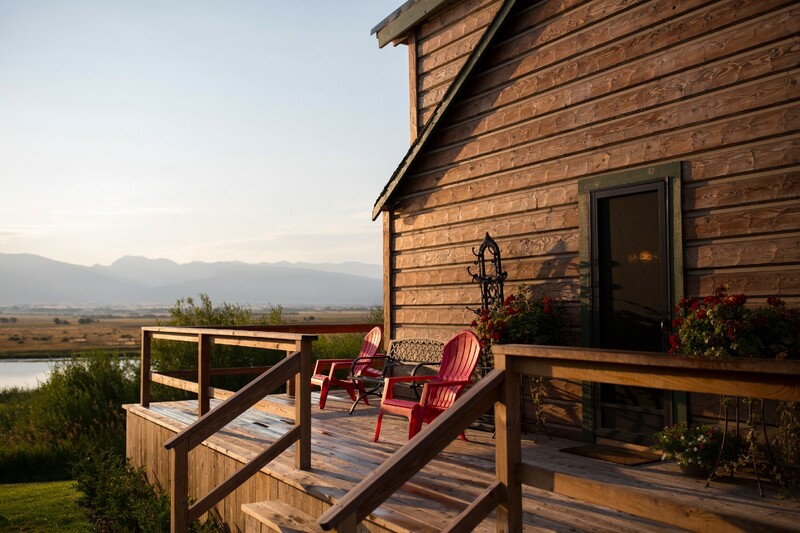 DRIGGS, Idaho — At the Teton Valley Lodge, dinner is served when the owner’s teenage daughter rings the bell on the porch. Guests in ball caps and sunburns file in after a 9-hour day of fly fishing, sitting a dozen to a table. They share bottles of wine and stories about the day’s catch, the kind in which the elusive brown trout someone caught this morning somehow becomes 10 times rarer by the evening recap. On a typical late August night, Brian Berry makes the rounds to greet every guest at the lodge, some of whom have vacationed here since the 39-year-old was shorter than the tabletop. They talk about their families and their sports teams, but mostly, about the fish — their behavior today, the plans to find them again tomorrow. This topic never gets old here, not even for Brian. As he moves onto the next table, talking about plans for winter fishing, another guest points out his look of glee. 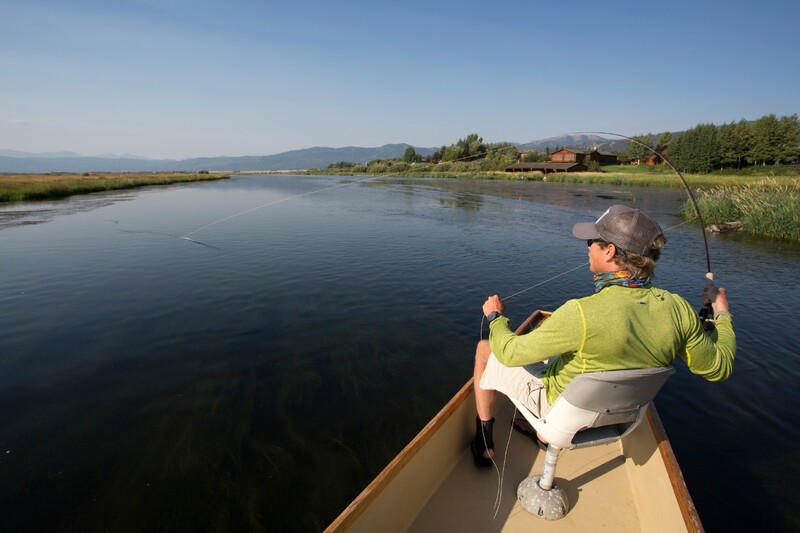 For the past 80 years, visitors from across the country have booked trips at the Teton Valley Lodge for only one activity: fly fishing on some of the world’s best rivers, where a boat can pass 5,000 trout in a single mile. There are no other activities, anyway. 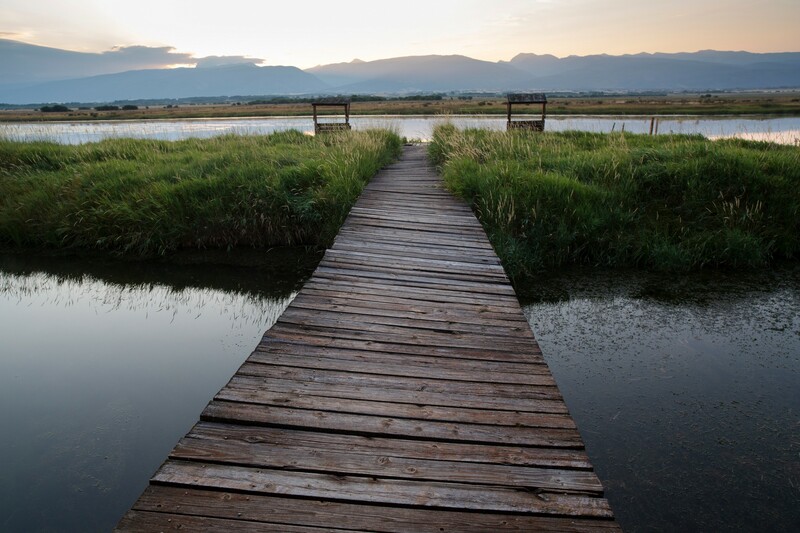 Thirty miles away in Jackson Hole, Wyoming, a “lodge” may be constructed from rustic wood but contain the same caliber of fine restaurants, spas, and yoga studios as tourists experience at home in New York or Los Angeles. 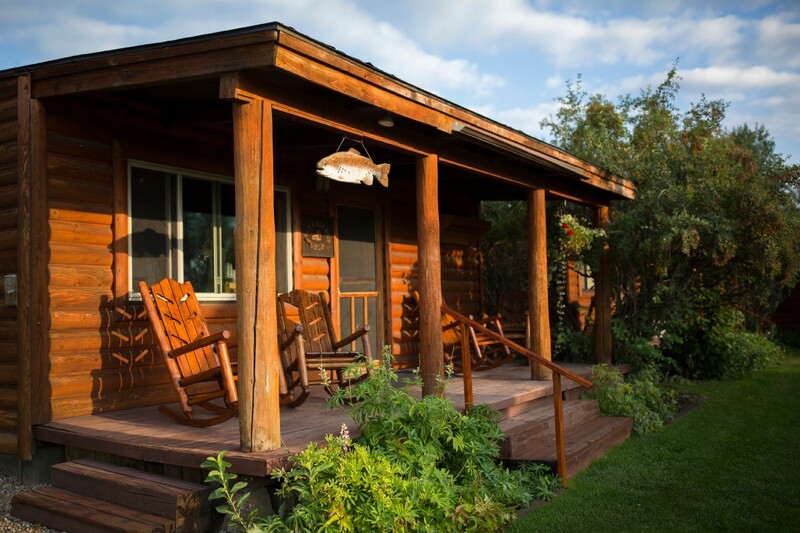 At this lodge on the other side of the Grand Tetons, the schedule consists of fish, eat, sleep, repeat. After their evening cornbread and cobbler, guests retreat to log cabins for which keys don’t even exist. Year after year, fishermen come to experience the Teton and Snake Rivers of eastern Idaho, where heavy snows and abundant bugs make for unusually good fishing. 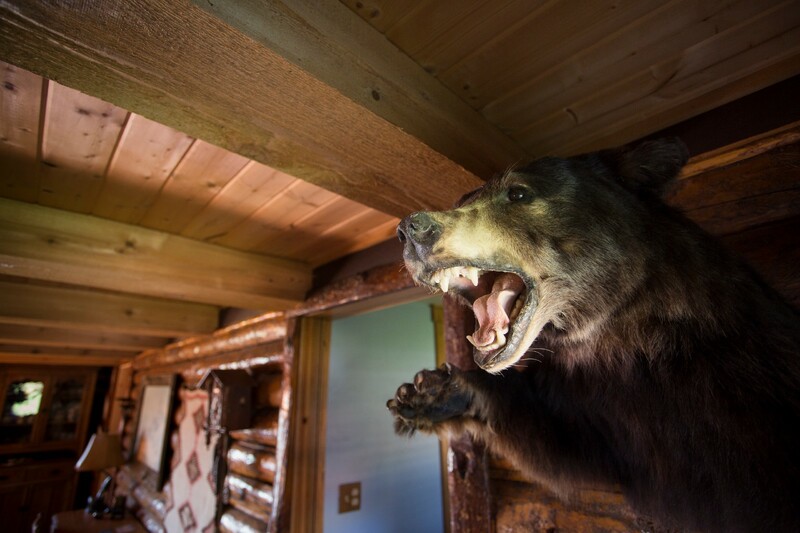 But they also come — perhaps just as much — for the camaraderie of this lodge and for the hospitality of Brian and his brother, Matt, 45, the fourth-generation owners. By the time Brian finally sits down for his own dinner, it’s 9:30 p.m., time only for the salad and cobbler. After a quick visit with his wife and young children at their home on the property, he’ll be back in just eight hours for breakfast and the next full day of fishing. It’s his life every May through October to allow generations of families a few days of doing the same. As he begins to eat, Brian spots a father and son heading out to their cabin. “Thanks for coming back,” he says to Jim Weisberg, 71, whose father vacationed here for 35 consecutive years — even when fishing required the help of a nurse and an oxygen tank. At its core, Teton Valley Lodge is still Alma’s Lodge, the business started by Matt and Brian Berry’s great-grandfather, Alma Kunz, in 1938. He used to call it a “fishing camp,” a place for all-day fishing, family-style meals around the big oak table, and dancing to the phonograph after dinner. The fact that the lodge still exists makes it a rarity among the 5.5 million family-owned businesses in the United States. Twelve percent of family-owned businesses survive into the third generation, according to the Family Business Alliance, and just 3 percent have seen fourth-generation owners like the Berrys. Far more commonly, family businesses fall victim to poor succession planning, financial troubles, competition, or simply lack of interest from the next generation. That could especially be true in Driggs (population: 1,657) at Teton Valley Lodge, where the business is so all-consuming that the Berry kids rarely see their parents for half the year. But here, even Alma’s 1938 lodge still stands as a guest cabin, and everyone refers to the current dining facility as “the new lodge,” though it was built in 1965. Every business must evolve, especially over 80 years, and every business owner wants more customers, more upsells, more referrals. It’s why the Berrys have invested in digital marketing, facility improvements, and new revenue streams like fall duck hunting trips and winter cabin rentals. And as a result, they’re enjoying their busiest years in history. But what the Berrys also want, even more than the revenue growth, is for the business to remain the same. But what the Berrys also want, even more than the revenue growth, is for the business to remain the same. They want fathers to keep returning with their sons, even though the older customers are fading away and the younger ones are too busy working to go fishing. For guests to feel the love their parents had for their customers, even though both Randy and Sandy Berry died years ago, too young. They want for Brian to keep the customers catching fish and for Matt to keep the business making money, even though he spends most days fighting a rare illness, too sick to get out of bed, let alone get out on the water. What the Berrys want is for nothing to change, even though almost everything has. When the flyfishing operation behind Teton Valley Lodge began, Woodrow Wilson was president and women couldn’t vote. As the legend goes, it was 1919 when Alma Kunz’s first customer, an East Coast banker, rode the train west until the tracks met their dead end near Driggs. While most visitors would take a horse and wagon over the mountain pass to Jackson Hole, the banker opted to stay and fish the Teton River instead. Recommendations for a fishing guide led him to the town’s foremost expert: the milkman. Apparently, Alma helped the banker catch a lot of fish that day. His trip is thought to have started a chain of referrals to Alma, just around the time that fly fishing — then a little-known, elitist sport popular mostly in England — began to take off among wealthy adventurers in America. Alma’s Lodge opened in 1938, attracting guests from across the country to a small town otherwise known for its potato farms. When the lodge closed for the winter, Alma escaped to sunny Los Angeles, where he schmoozed with socialites over racetrack bets at Santa Anita Park and befriended the owner of The Brown Derby restaurant, a hangout for Old Hollywood types. In turn, some of California’s rich and famous followed the jovial fisherman back to Idaho. Over the years, Alma’s Lodge hosted the likes of actress Janet Leigh, Chief Justice Earl Warren, and numerous presidents of airlines, oil companies, and other big businesses. Alma’s Lodge was well-known enough to make Sports Illustrated in 1966. By 1966, Alma’s Lodge was well-known enough to merit a profile in Sports Illustrated, which declared that in Teton Valley, “You are nobody unless you are a trout or a potato or Alma Kunz.” The 6,000-word story described men with “trout fever,” practically shaking with excitement as Alma guided them toward fish with names like Big Pete and Old Blue. The month after the story was published, Alma died of cancer at 65, leaving the lodge without its namesake. His son, Lyle, ran it for three years before selling it to an absentee owner who lived in Boise, five hours away. Without someone with the fishing knowledge and hospitality of Alma on the property, customers stopped coming back. 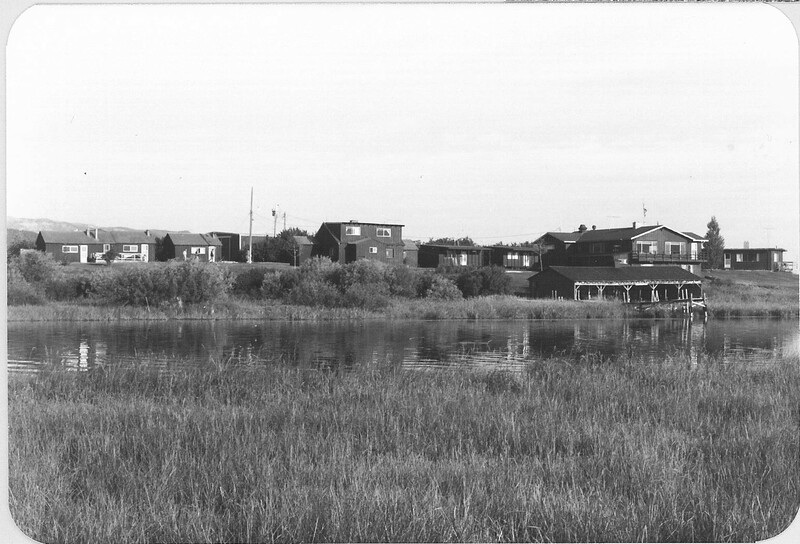 By the summer of 1973, the lodge was boarded up and at risk of closing for good. Fortunately, the two successors who would save it knew the lodge better than anyone else. One day at work, Daisy Berry got a call from the police about her son. They’d found Randy shooting rabbits with his bow and arrow — on the runway at Los Angeles International Airport. Apparently, Randy Berry was better-suited to life in Idaho than at home in L.A. Since he was a young boy, Randy had been spending summers at Alma’s Lodge, owned by a step-relative of his mother. 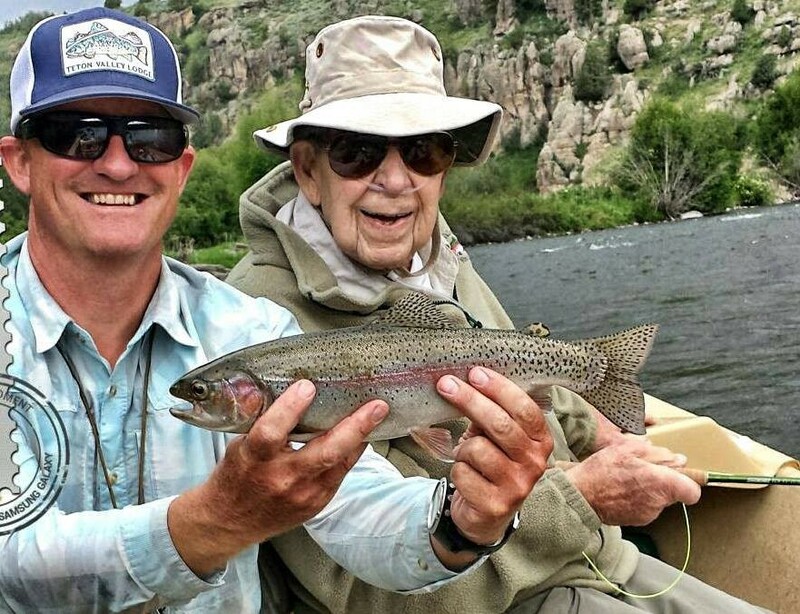 Matt and Brian Berry always heard the story of when their father became captivated with fly fishing: One day on the river, Alma guaranteed Randy could catch a 16-inch cutthroat trout if he cast his line over a certain bush. Sure enough, he was right. That day, Randy told Alma he wanted to learn more. “You want to know how to catch fish like that?” Alma asked. “Well, then you need to be a guide,” Alma said. 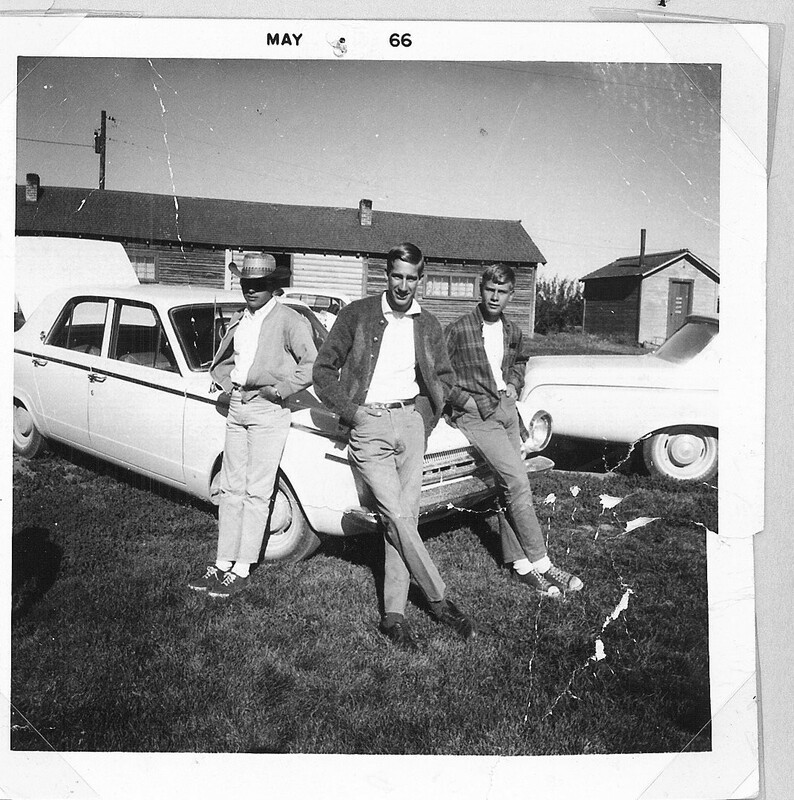 Randy Berry (center) and John Pehrson (right) at Alma’s Lodge in 1966. Twelve-year-old Randy started guiding in 1958, as soon as he met Alma’s requirement of being at least 5 feet tall. 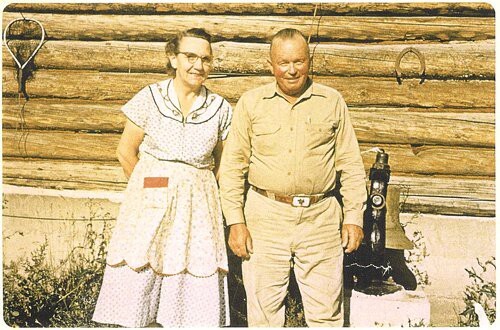 Over the following summers, he shared a cabin with another young guide, the son of one of Alma’s most loyal customers, and flirted with the pretty girl who cleaned the cabins, Alma’s granddaughter. Eventually, Sandy became Randy’s wife, and John Pehrson became his best friend and partner — the co-owner of the business they renamed Teton Valley Lodge. Randy and John bought the lodge in 1973, when the absentee owner agreed to finance the entire sale to ensure the business fell into their hands. While the two 20-somethings had little money, they had a wealth of fly fishing knowledge and a loyal customer base. For the last few years, they had been running a successful guiding outfit with two boats and a pickup truck, with Sandy shuttling customers to and from the river. 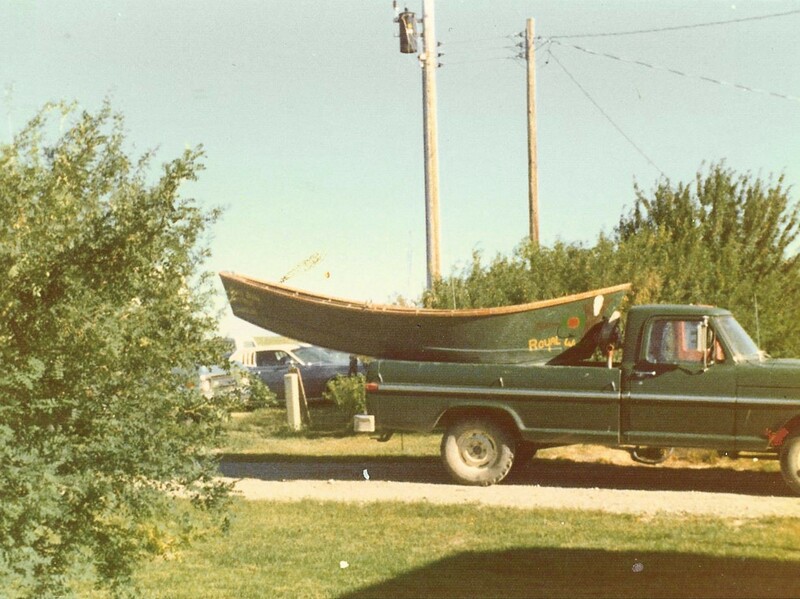 Randy Berry and John Pehrson couldn’t afford a boat trailer when they started guiding in the early 1970s. Over the coming years, Randy and John set out to revitalize the business and its traditions in the mold of Alma’s Lodge. 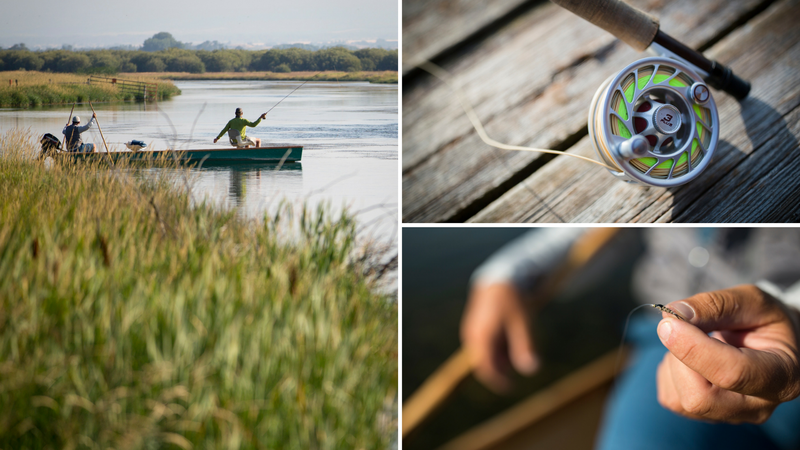 Randy, the serious fisherman, planned meticulous fishing trips, inventing his own flies, building his own boats and fishing rods, and pioneering new fishing strategies and routes that other guiding companies mimicked. John, the charismatic businessman, headed up sales and customer service, entertaining the guests with his jokes and guitar during the family-style dinners. The opposites-attract friendship was central to the success of the business: Randy ensured customers caught more fish than they ever had, while John ensured customers were happy and money was in the bank. What also made the business work, then as now, was the involvement of their entire families. Randy’s wife, Sandy, and John’s wife, Kristy, went above and beyond in their role of running the lodging facilities, stocking cabins with a guest’s favorite candy or with flowers for a couple’s anniversary. Their kids began helping when they turned 8, doing chores around the property and stocking the boat coolers with drinks each morning. In four decades, Matt and Brian have never spent a summer anywhere else. Of the six Berry siblings, Matt and Brian always expected they’d be the ones to carry on the business. In 2001, John Pehrson sold his half-ownership, allowing the brothers to run it alongside their parents. But they didn’t expect the succession to occur so quickly. Two years later, Sandy died of a brain tumor, at age 54. And in 2011, Randy died unexpectedly, too, of a heart attack at 65. Matt and Brian still feel the void left by their parents, who for many guests were the faces of the lodge. But neither takes credit for continuing the business and its traditions in their absence. If you’re a Berry, it’s what you do. 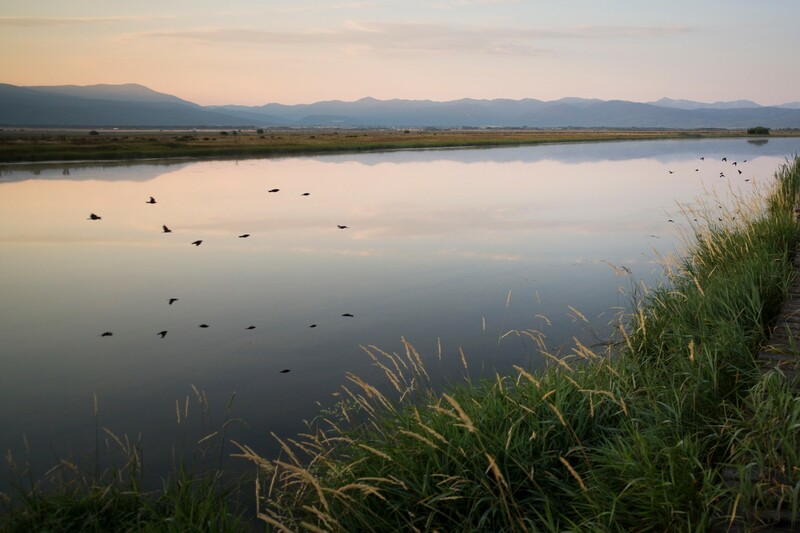 In the morning at Teton Valley Lodge, when the sky is pink and the mist is lifting off the river, the only sound is the cows mooing across the water. But mornings are never quiet for the Berry family. Around 6 a.m., Brian arrives at the lodge to plan trips for more than a dozen boats — each with two guests and one guide — on either the Teton River directly behind the lodge or on portions of the larger, faster Snake River, up to 90 minutes away. Every day involves an analysis of the fish, based on the wind, the sun, the water currents, the type of bugs that recently hatched, and the stories from last night’s dinner. For Brian, it’s a daily challenge to find the fish and honor the requests of customers, who arrive for vacation with their favorite of 29 guides and their favorite stretches on 200 miles of river. Throughout the morning, he greets guests and informs them of today’s plans. “That’ll work,” the guest replies, with a nod of approval. “It’s a new Pat, though. A younger Pat,” Brian explains. “That won’t work,” the guest says jokingly — or maybe half-jokingly. Inside the lodge office, a half-dozen fishing guides swap stories about the previous day on the water, talking as excitedly as the guests. One room over in the kitchen, Matt’s 18-year-old daughter, Gabrielle, is packing sandwiches and homemade cookies for sack lunches on the boats. Her 16-year-old brother, Ethan, will be manning the shuttle van to and from fishing destinations. Typically, their sisters Olivia and Emma would be helping clean cabins or pull weeds, but today, they get a rare chance to be 12- and 10-year-olds, working a lemonade stand. Later, Heather’s younger sister, Elizabeth, will arrive to clean the nine cabins that can sleep 39 guests. But first, they’ll chat over Diet Cokes, talking about the family and the business and the often indistinguishable line between them. Elizabeth’s husband is a fishing guide here, too. Almost the entire family is involved in the daily operations of the lodge, save for newlywed Brian’s wife, who’s watching the kids, too young to be helping yet. But in time, their parents hope, some of Matt and Brian’s kids will become the fifth-generation owners. The only Berry missing each day at the lodge is Matt. He’s still working, but rarely from the lodge and never from the river — not since he was diagnosed with mal de debarquement syndrome. The disorder, which translates to “sickness of disembarkment,” typically makes sailors feel seasick for 24 hours or so. By then, the brain signals the body to adapt to the new patterns of movement. The sailor, as we say, gets his sea legs. For Matt, though, the symptoms have persisted every day for more than three years. Doctors can’t explain it, but they can pinpoint the cause. After a lifetime on water, Matt can’t seem to adjust to land. The symptoms don’t feel like rocking or swaying, the typical seasickness that subsides after a while. Every day, Matt feels a constant, pattern-less, nauseating blur of motion. Mal de debarquement syndrome is as rare as it is little-understood. No conclusive evidence exists as to its incidence or its causes, with some researchers suggesting that the disorder stems from problems of the inner ear and others pinpointing its origin in the brain. For Matt, the only effective treatment is chemotherapy-grade anti-nausea medication, which with its side effects causes almost as many problems as it solves. Matt Berry can no longer fish because of a rare illness, mal de debarquement syndrome. In his typically reserved tone, Matt tends to dismiss his illness in a sentence or two: It’s just life, he insists stoically. It could be a lot worse. And so he does. Every day, he works from home up the driveway from the lodge, often lying in bed while working from his laptop or answering the phone to minimize the dizziness. Although he’s seen several doctors — and once flew in a customer’s private jet to Salt Lake City for testing — all have found more questions than answers. Mal de debarquement syndrome is possibly the worst condition a fisherman could have. Guests rarely see Matt for the breakfast and dinner meet-and-greets; motion upon motion is too disorienting. For that reason, he can no longer guide the river or even spend an afternoon fishing with his family. Mal de debarquement syndrome is possibly the worst condition a fisherman could have. 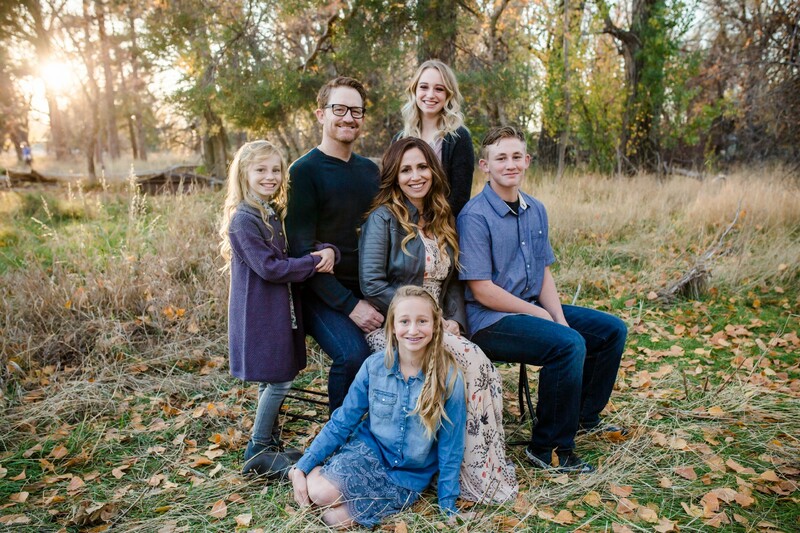 Amid so many downsides, Matt and his family members see one upside to his illness. In losing one passion, Matt has gained another in his time away from the river: marketing. For Randy Berry and John Pehrson, marketing meant repeat business and word-of-mouth referrals, along with an annual printed newspaper featuring fishing stories and updates on river conditions. Today, referrals still account for the majority of the business — but in the Google era, even a guest referred by his best friend likely doesn’t book a $1,000-per-day trip without extensive online research. Over the past few years, Matt has modernized the business to account for a world where customers book from Google, Trip Advisor, social media, and home-rental sites like Airbnb and VRBO. Teton Valley Lodge has a slick website featuring drone photography and high-production video of customers casting their lines and holding wiggling fish in their hands. The old newspaper has been replaced with an 11,000-subscriber email newsletter, along with automated emails via Infusionsoft that are targeted toward the nature and timing of customer trips. 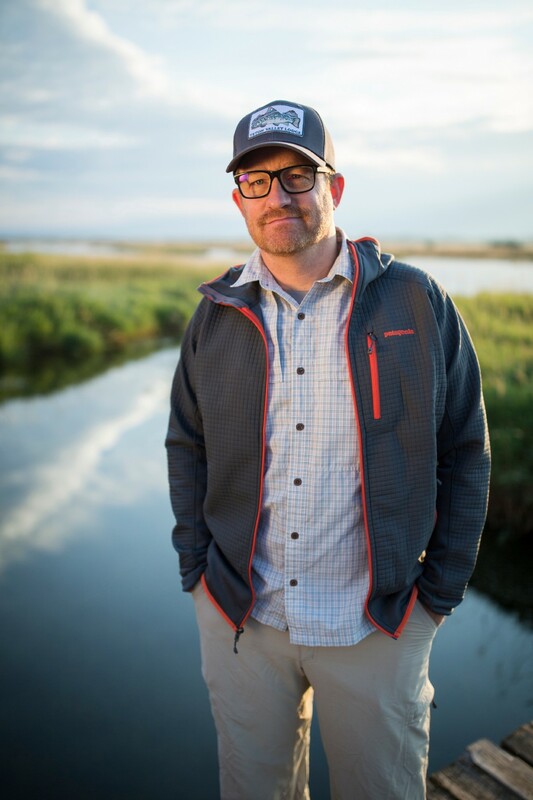 Customers can schedule trips online, read Matt’s blog posts about fishing and gear tips, see the lodge in a livestream video, talk with Matt via live chat, purchase gear from an e-commerce shop, and scope out the river in Facebook and Instagram photos tagged with the hashtag Matt invented, #fishthetetons. If Matt were still guiding every day, none of it might exist — and perhaps the lodge wouldn’t have increased its revenue 25 percent from the previous year. For Matt, marketing has become the new means of carrying on the family business. For Matt, marketing has become the new means of carrying on the family business. He wouldn’t think of not working — and his family members wouldn’t think of asking him to quit, even though hours of computer time can’t be helping his health. For the Berry family, it sometimes seems comical that tourists pay to experience their lives. While the river and the mountains are steps beyond their door, the work never ends when the office is their home and the coworkers are their family members. Owning a fly fishing lodge isn’t nearly as romantic as most people would imagine. “We kind of laugh about it: Why do these people come back every single year? This is their vacation? Our life is their vacation?” Heather jokes. At the same time, though, she thinks the question is also the answer. 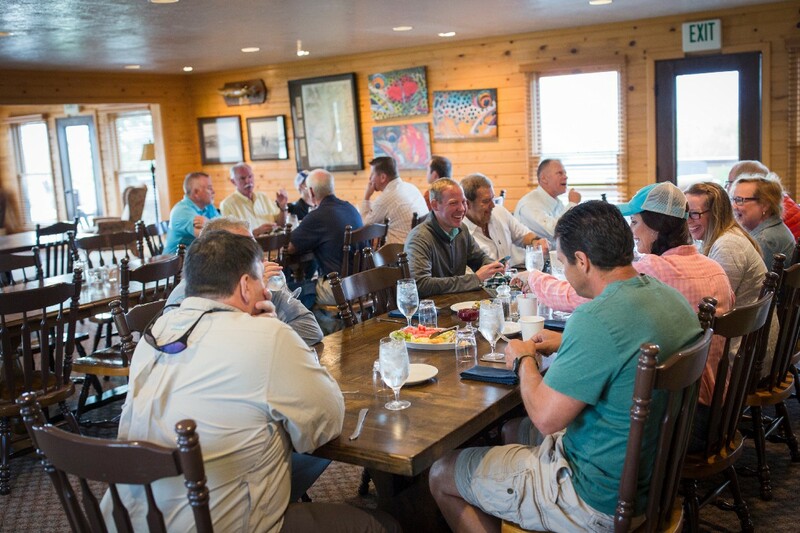 Guests appreciate that the Berry family is Teton Valley Lodge, and that Teton Valley Lodge is the Berry family. And despite all that has changed, some things seem like they never will. Guests will always compete to make The Board, the publicly-displayed list of the biggest fish of the season. They’ll always remember the fish they caught, but also the guides that taught them along the river, the new friends they made across the dinner table. Come October, the Berrys will always feel relieved that they survived another season. And then come May, the same families will always return, even after some members no longer can. That’s the promise of the Weisberg family, whose patriarch, Gene, fished here until age 95, his oxygen tank by his side. He Loved Family, Friends, Fishing, reads a memorial plaque in the lodge. Not Always in that Order. That feeling is what John Pehrson still notices when he reflects on a lodge he’s known for more than 50 years. It’s what the lodge felt like when he and Randy owned it, and before them, when it belonged to Alma. If you enjoyed this story, please recommend it and share with your friends. At Infusionsoft, we are transforming sales and marketing for small business. Our software, services and educational content help small businesses get organized, grow sales and save time. Amy Saunders is a senior content creator at Infusionsoft, where she writes content that inspires and empowers small business owners. Writing about business brings Amy’s work full circle: She began her career as a business reporter at The Columbus Dispatch in Ohio. After more than six years there, she moved to Phoenix, where she was an editor at a content marketing agency before joining Infusionsoft in 2015. Follow her on Twitter @amyksaunders.